We were very excited to be given a preview of the set for ‘The Government Inspector’. 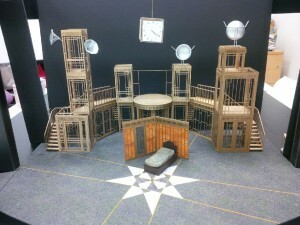 The set has to be designed to be toured easily and be accommodated into all of the venues. There are some challenging shapes of theatres! The Government Inspector design is by Ti Green.